Young individual looking for a chance to shine? 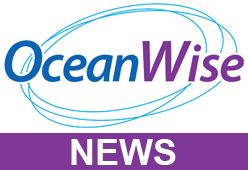 OceanWise > News > Uncategorised > Young individual looking for a chance to shine? 18 months after taking on their first apprentice, OceanWise are now looking to give another young individual the chance to shine in the workplace. The proposed role in Business Administration will give the apprentice the chance to get involved with essential business operations including quoting, assisting with marketing and financial administration whilst working towards a Level 3 apprenticeship award. Benefits include a competitive salary, access to PETA training courses and great career opportunities at OceanWise.